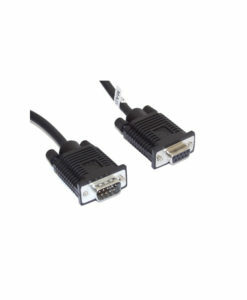 The Industrial 4-Port RS-232 to Ethernet Data Gateway adapter addresses the need to connect individual RS-232C devices to an IP-based Ethernet LAN. It allows your application software to access serial devices anywhere on a local area network or the Internet. 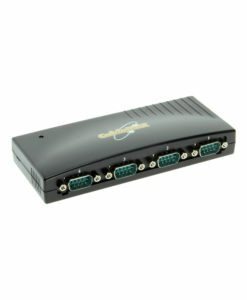 Provides 4-Port Serial RS-232C over Ethernet with RS-232C Speed from 300bps to 115.2Kbps. The MSD-SRF4X Industrial 4-Port RS-232 to Ethernet Data Gateway addresses the need to connect individual RS-232C devices, such as PLCs, meters, sensors, to an IP-based Ethernet LAN. It allows your application software to access serial devices anywhere on a local area network or the Internet. The 4-Port RS-232 to Ethernet Data Gateway has a built-in watch dog function that is designed to reset the MSD-SRF4X when the hardware hangs because some other unknown causes in the system. The MSD-SRF4X 4-Port RS-232 to Ethernet Gateway is easy to install and use remotely through a variety IP addressing methods (UDP, IP, TCP, ICMP, HTTP, DHCP, ARP-Ping). It is ideal for applications requiring RS232 serial port environments and network device management. A built-in watch dog function is designed to reset the MSD-SRF4X when the hardware/software hangs. The 4-Port RS-232 to Ethernet Data Gateway has certain accessories that work with it. These accessories are what you can order if needed. Did you misplace or break a part that came with your purchase? Purchase it here!